On this page you will find detailed information regarding our Maths Curriculum and examples of this in practice by year group. At Greenbank we use Mathematics Mastery programme to direct our Maths teaching. Mathematics Mastery is an innovative maths teaching framework, supporting schools, students and teachers to be successful at maths. A deep understanding is achieved through covering fewer topics in greater depth not 'climbing' the curriculum as quickly as possible. Pupils master concepts rather than learning procedures by rote. It is also key that all pupils master the curriculum, which fits in very well with our school vision, that 'We aim to provide a learning environment where all children can achieve their highest potential and to foster a climate where all children, regardless of class, race, gender or disability feel secure and can grow in confidence and self esteem'. In order to achieve this, number sense and place value come first and is of great importance as this underpins everything mathematical. 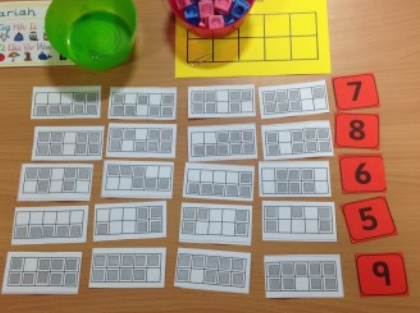 In practice this would look like: in Year 1 it is imperative that pupils have full understanding of number sense, number bonds and place value, as all number work in maths builds on what is taught here. There are three key features of the primary programme that deliver pupils with a deep understanding of mathematics. The way that children speak and write about mathematics has been shown to have an impact on their success. Mathematic Mastery uses a carefully sequenced, structured approach to introduce and reinforce mathematical vocabulary. Every lesson includes opportunities for children to explain or justify their mathematical reasoning. None of these are rocket science, but the challenge is to ensure they integrate into every lesson and are applied systematically throughout. Transitioning to fewer topics can feel like slowing down, but by adopting to a cumulative approach, pupils continually build on the knowledge they have already mastered, focusing heavily on solving problems to deepen and reinforce their understanding. The lesson have the key lesson features of: Mastering mathematical understanding, Mastering mathematical thinking, Mastering mathematical language, Mastery for all, as well as a 6 part structure. This structure keeps the lesson pacey, gives flow and allows more opportunities to teach creatively, give feedback and assess learning. The part are: 1 DO NOW, 2 NEW LEARNING, 3 TALK TASK, 4 DEVELOP LEARNING, 5 INDEPENDENT TASK, 6 PLENARY. All of this allows for cumulative, scaffolded learning where assessment is crucially feeding in to subsequent segments. Pupils are ‘doing’ straight away and no time is wasted. We are really enjoying watching the changes and the improvements to Maths teaching and learning in Greenbank that participating in Mathematics Mastery has made. For more any more information speak to Mrs Plant (Mathematics Lead).